Company settings for invoice can be set in Company Setup in Setup module. Reference number can be adjusted in Forms Setup. Customer name and address in Charge to section can be set in Customer Branches. Delivery address is entered when the invoice is being prepared. Bank Account name and number can be configured in Banking and General Ledger -> Bank Accounts. 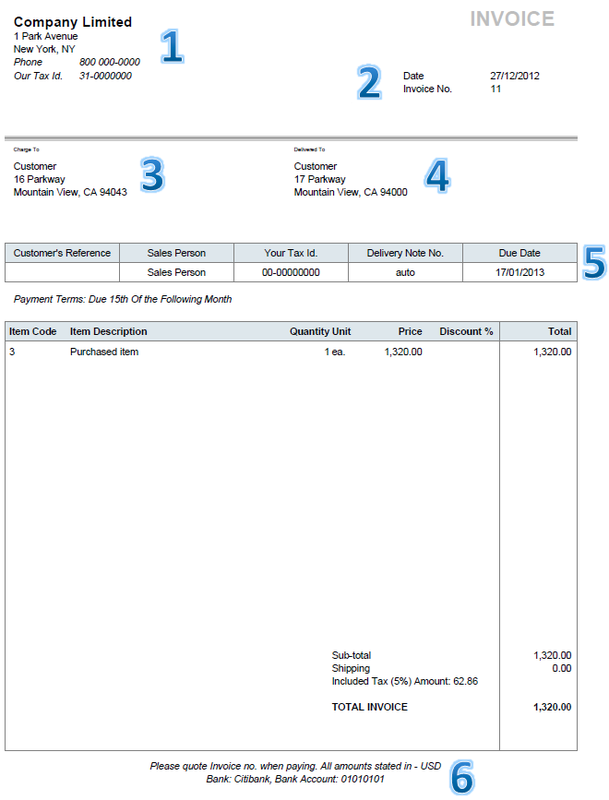 Additional line of text can be set in System and General GL Setup in Legal Text on Invoice field.